Paris, London, 26 April 2016 – Eutelsat, one of the world’s leading satellite operators and Wiztivi, a leader in multiscreen TV solutions are today unveiling Sat.tv, a smart Electronic Programme Guide (EPG) for tablets and smartphones. 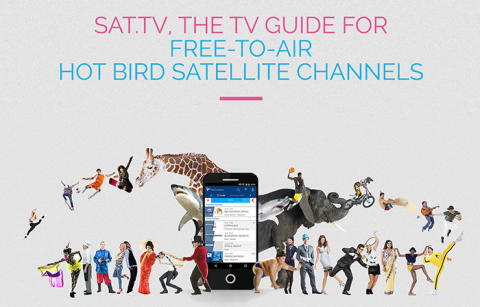 The application addresses the 66 million homes in Europe, North Africa and the Middle East equipped for DTH reception of Eutelsat’s popular HOT BIRD satellites that give access to more than 300 free-to-air channels. The new product will be showcased for the first time at the TV Connect show in London. Sat.tv is a new-generation EPG designed to enhance the free-to-air viewing experience for consumers and increase broadcaster engagement with their audience. Broadcasters can enter programme schedules and information that are displayed real-time through the app. Viewers benefit from a user-friendly EPG interface available in five languages (English, French, Russian, Italian, Arabic) and can access programme details in up to 40 languages. The main features include extensive access to detailed programmes in the HOT BIRD channel line-up, with options to browse by time, channel or type of content. Preferred content can be selected in one click, and personalised recommendations generated based on viewer tastes. Viewers can also share any content of the app live on their social media profiles. The new app is based on TIMELESSTOUCH, Wiztivi’s advanced HTML5 user interface product for mobile devices. In addition to front-end and back-end development by Wiztivi, a back office has been set up to enable channels to directly edit their programme schedules. 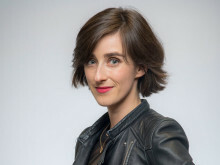 Leading broadcasters, including CCTV, Channel One Russia Worldwide, Euronews, France 24, RT and TV5MONDE have already opted for this solution. Sat.tv is an HTML5 application developed with the WIZTIVIFRAMEWORK, Wiztivi’s multiscreen UI Software Development Kit (SDK). The SDK is a browser-based environment of development with equivalent performance to native applications. In using one code for multiple environments, Eutelsat and Wiztivi have been able to accelerate the development and launch of Sat.tv on both iOS and Android platforms. Wiztivi’s strong technical expertise in consistency management of metadata improves overall app performance. Due to the efficient algorithms provided by Wiztivi’s R&D, metadata are downloaded instantly on the screen, enhancing the user experience (smooth transitions and animations) and providing a remarkable feeling of control. Sat.tv will be presented as a world premiere at TV Connect on the Wiztivi booth - number 29. In order to maintain its leadership and its agility, Wiztivi has been developing its own framework (SDK). Based on web-standards, the WIZTIVIFRAMEWORK delivers a single code to target various platforms at a fraction of the cost that would be required if a specific version had to be developed for each device. This strong technological asset goes along with a high value in-house UI/UX Studio: The Wiztivi Creative Studio was created at Wiztivi’s beginning and has now a high experience in TV and Set-top-box and mobile interfaces.